Herbert Samuel, the son of a successful banker, Edwin Louis Samuel, was born in 1870. 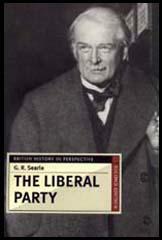 Educated at Balliol College, Oxford, he took a strong interest in politics and became a member of the Liberal Party. Samuel unsuccessful contested Henley in the 1895 General Election. He also failed in the 1900 General Election but won the Cleveland seat in a by-election in 1902. After only three years in the House of Commons, Samuel was given the post of Under-Secretary of State for the Home Office by the new Prime Minister, Henry Campbell-Bannerman. Later Herbert Asquith, who replaced Campbell-Bannerman in 1908, appointed him as Post-Master General (1910-1916) and Home Secretary (January 1916 - December 1916). In 1912 Hilaire Belloc and G. K. Chesterton of the political weekly, The Eye-Witness, accused Samuel, along with David Lloyd George and Rufus Isaacs of corruption. It was suggested that the men had profited by buying shares based on knowledge of a government contract granted to the Marconi Company to build a chain of wireless stations. In January 1913 a parliamentary inquiry was held into the claims made by The Eye Witness. It was discovered that Samuel had bought 3,000 shares in May, 1911 and sold them for a good profit a few months later. Although the parliamentary inquiry revealled that Samuel, David Lloyd George, Sir Rufus Isaacs and the Master of Elibank had profited directly from the policies of the government, it was decided the men had not been guilty of corruption. In the 1918 General Election Samuel supported Herbert Asquith wing of the Liberal Party instead of David Lloyd George and was defeated at Cleveland. Two years later he was appointed as the High Commissioner for Palestine, a position he held until 1925. In 1925, Stanley Baldwin, the leader of the Conservative Government, asked Samuel to look into the problems of the Mining Industry. 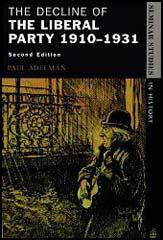 The Samuel Commission published its report in March 1926. It recognised that the industry needed to be reorganised but rejected the suggestion of nationalization. The report also recommended that the Government subsidy should be withdrawn and the miners' wages should be reduced. The leaders of the Miners Federation and the Trade Union Congress refused to accept the report and the threatened General Strike took place in May 1926. Herbert Samuel returned to the House of Commons following the 1929 General Election. Two years later he was elected as leader of the Liberal Party. He held the post until he was defeated in the 1935 General Election. In 1937 he was granted the title Viscount Samuel and later became leader of the Liberal Party in the House of Lords (1944-55). Herbert Samuel died on 5th February, 1963.